It used to be that when you had to buy a new mattress you had to go to multiple shops and lay down on every single mattress that you could. Eventually, you’d find one that your Goldilocks-like tendencies were satisfied with, and then you would find out that the mattress is going to cost a small fortune. Of course, you’d grumble, but the quality of your sleep wasn’t something you could skimp on, so eventually you would shell out the cash and then wait for two weeks for someone to deliver the bulky mattress to your home. Hopefully it will be just as good in a few months’ time as it was in the store. Innovation has stepped in and is changing the way that we shop for mattresses. Shopping for a mattress online was difficult. The major online retailers wouldn’t deliver something so large, but now with the advent of the mattress in the box, major online sellers have stepped into the ring. These mattresses in a box, as the name suggests, come in simple small boxes that are easy to deliver. This is accomplished by compressing and rolling the mattress so that it is just a small portion of its true size. Once the mattress arrives in the box, all you have to do is pull it out of the box, position it and remove the plastic compression. In just a few hours your bed will decompress, becoming a wonderful mattress. It really is something else to watch as these beds “come to life”. There is one problem with this new method of shopping for mattresses online, and that is that you don’t get to try the bed out before you buy. Fortunately for you, we’ve collected a list of ten of the best mattresses in a box to help you make your decision. Open the box and watch as the Zinus Green Tea Memory Foam Mattress unfolds into a comfortable bed. With a layer of pressure relieving comfort foam at the top layer the Green Tea Mattress conforms to the shape of the sleeper’s body. A layer of Airflow High-density foam gives the mattress a stable and durable form. The mattress smooth topped cover is made from a soft knitted fabric that will feel smooth and cozy. A unique innovation, Zinus infuses the mattress with natural green tea extract to maintain its freshness. The Zinus Memory Foam Green Tea Mattress is not the thickest on the market, but it manages to find a comfortable medium between softness and firmness. The bed is not thick or firm enough for someone who is particularly heavy, and it does not have cooling technology, so we recommend this mattress for someone who is on the lighter side. It would be a great option for a child or teen’s bed. 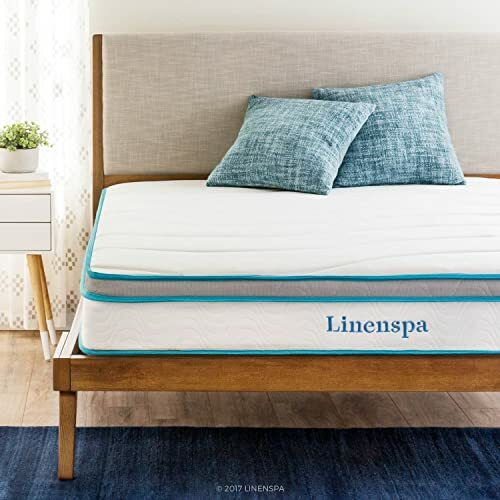 An innovative blend of memory foam and innersprings in the convenience of a mattress in a box, the LinenSpa Hybrid Mattress is one of the best options. Memory foam is utilized in the soft fabric cover, quilted throughout the top of the mattress. Beneath the memory foam quilted cover is an additional layer of memory foam which will distribute weight and create pressure point relief. This then balanced out with deep support from 6″ steel coils which give the bed back support and prevents a sink which could disturb sleeping partners. 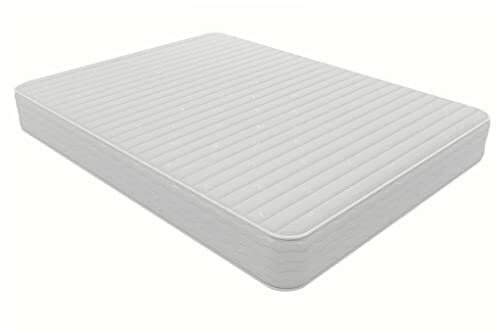 Combines memory foam with the traditional support of an innerspring mattress for a medium-firm feel. Memory foam is quilted in the soft, knit fabric mattress cover. A 1.5 inch layer of foam beneath the quilted top layer helps to minimize pressure points. The LinenSpa Hybrid Mattress is a great option for children and lighter-weight individuals. The memory foam is wonderful for a comfortable night’s sleep that relieves pressure, but is not thick enough for heavier people, who may discover that they can feel coils beneath the foam. Using open cell memory foam the LUCID Gel Memory Foam compresses evenly under the body in order to prevent pressure point pain. Unlike many memory foam mattresses that come in a box for easy shipment, LUCID’s mattress is designed specifically to remain cool. The gel beads within the memory foam capture heat to keep it away from the body. This mattress uses a ventilated design that increases airflow. Additionally, the mattress uses a TENCEL blend fabric for its cover which adds to the breathability of the mattress. The high quality foam is also durable, and won’t leave impressions, an issue often found in the foam mattresses that come in a box. While advertised as a medium-firm mattress, we would say that the mattress is more on the firm side of the scale. 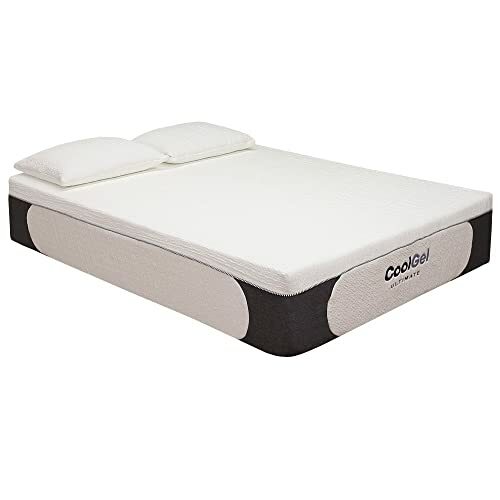 This is a great for people who sleep on their back, and with its cool technology it is one of the best options for those who run hot in bed. Are you a side sleeper? Sleep Innovations has designed a mattress in a box specifically with you in mind. The Alden Memory Foam Mattress will cushion your shoulders, hips and knees to prevent pressure point pains. At the same time it provides a soft support for your alignment, making this the perfect mattress for a side sleeper. The Alden has careful high-quality tailoring to create beautiful bedding with quilting that gives the mattress a medium-soft feeling. With SureTemp memory foam as a top layer, you won’t wake up in the middle of the night sweating. If you are looking for a super soft and cozy mattress in a box, the Alden is one of the softest on the market. Despite being soft, it still has great temperature control, and surprisingly there is little movement transfer to disturb any sleep partners. As is often true with memory foam beds, especially the softer ones, this bed does lack some side support, so if you sit on the edge of the bed, or even sleep at the very edge you may find yourself sinking in. A problem with many foam mattresses is the durability and the life span of the mattress. The foam does eventually wear down, and because they use a special layering system, you can’t flip them to keep them fresh. 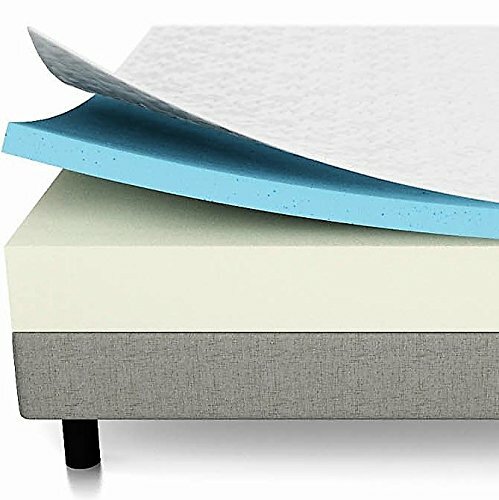 Signature Sleep’s Contour Mattress stands out from other mattresses in a box in that it is dual-sided, and can be flipped. This hybrid coil and memory foam mattress has independently encased coils which reduce movement transfer. A layer of foam above the coils softens the bed so that it is cozier. This layer of foam is both above and below the coils so that no matter which side of the bed is up, you are sleeping on a comfortable layer. Reversible: evens out the wear and last for years to come. Works on multiple surfaces including box spring beds, bunk beds, daybeds, platform beds, and trundle beds. With only a small layer of dense memory foam, this is going to be a very firm mattress. The coils mean that it will provide more support than many of the mattresses that come compressed as most are solely memory foam. If you are lightweight and have a bad back this is a great option for you. Modway’s Aveline is a gel infused memory foam mattress, meaning that this is the perfect mattress for climate control. The Aveline dissipates heat while also conforming to your body’s weight and position. Open cell ventilation further dissipates the heat. Modway prides itself in having designed the Aveline with perfect level of firmness, neither too soft nor too firm. Once outside the box, the Aveline also expands within 4 hours, which is very quick compared to other mattresses. The diamond knit cover is removable, meaning you won’t have to buy a pad to keep the mattress clean. This mattress is right in the middle of the firmness scale, some may find it too firm, others too soft, but for couples that differ in what they want, a mattress like this could be the perfect medium. With a waterfall edge knit cover with contrasting borders, Classic Brands’ mattress in a box is one of the most beautiful mattresses on the market. 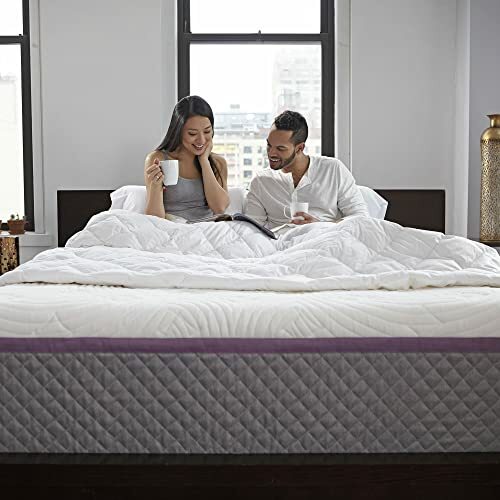 It isn’t just beautiful though, this is an excellent mattress with a top layer of ventilated gel-infused memory foam for temperature control, a layer of soft comfort foam for super plush body conformity, and a thick high-density base for support and durability. These layers come together to create an extremely comfortable sleeping experience with very little motion transfer, heat, or sinking. The mattress is designed with adjustable bases in mind, so it will work perfectly if you want a bed that can be adjusted in various ways. Classic Brands’ mattress is by far one of the softer mattresses in the mattress in a box market, but that doesn’t mean it isn’t firm enough to provide a great amount of support. This is a pretty versatile mattress, giving enough support and comfort for us to recommend this mattress for anyone. The cool eco-friendly packaging is also an awesome bonus. Live and Sleep wants you to feel like you are sleeping at a 5-star hotel with their Resort Sleep Classic, and you won’t even have to leave your house to get it as they’ll deliver it in a box right to your doorstep. The Resort Sleep Classic is a medium-firm mattress. Using Live and Sleep’s Supreme Topper the Resort Sleep Classic conforms to a sleepers shape to give them personalized supportive comfort while reducing bounce. The linen fabric cover feels soft to the touch, and it is naturally antimicrobial and hypoallergenic. You won’t have to worry about snoring caused by allergies with this mattress. A bonus is that Live and Sleep is an environmentally conscious company, manufacturing their product using minimal chemicals. If bought online you can receive two free memory foam pillows, but unfortunately the pillows are not nearly the quality of the mattress. With that said, part of the reason they can’t compete is because this is such an excellent mattress. The pressure points relief works excellently, and is great for those who are suffering from joint pains. If you are looking for a compressed mattress that comes right to your door, you can’t go wrong with one of the most popular mattresses on the market. The Casper Sleep Mattress uses breathable foam layers that keep off the heat, while a springy top layer with good bounce gives you a comfortable rest. Beneath the soft, breathable top layer is quality high-density memory foam to support pressure points. Between the high-density support layer is a deep comfort layer that allows for weight distribution. As with many of the best mattresses on the market, Casper comes with a zip-off cover that can be easily cleaned. The Casper deserves its place as one of the best mattresses out there. This soft and supportive mattress does an excellent job cradling you in a manner that really relieves joint pain. It’s really great feeling on the back. Also, the design really works for keeping this bed cool at night. The bed does have quite a bit of give, and you might find yourself sinking into it. The makers of the Snuggle-Pedic Mattress set out to create an all-around excellent mattress that anyone can enjoy. The Snuggle Pedic keeps sleepers cool, works with any sleep positions, cuts motion transfer, and cleans easily. Using a patented airflow transfer, the mattress dissipates heat through connected small surface holes that allow air to flow through the mattress. Soft memory foam gives relief to pressure points, and conforms to the shoulders and hips, while there is enough support in a lower level for back sleepers. The removable cover is made from a bamboo blend fabric that can be easily removed with a zipper. One of the coolest features of the Snuggle Pedic Mattress may be the company’s dedication to support. If you need to have an alteration made, for example you’d like a bit more firmness, the company will provide. This means the bed can work for anyone, even couples that may need different levels of firmness. Smell: One thing that everyone notices with compressed mattresses is that even the top of the line ones come out of the box with a peculiar, not necessarily negative, smell. This smell is released as the bed decompresses, and almost always dissipates after a few days. If you have a particularly sensitive nose, you may notice it for a longer period. It should eventually go away. Decompression: That mattress in a box is a huge piece of furniture that was shrank to the size of a pretty small box. Just because the mattress is small doesn’t mean it isn’t going to weigh a lot, and when you do get it you might need some help moving it. A lot of the mattresses in a box become very heavy once they’ve been released, which means you will want to decompress it near to where you want to place it. Decompression of a mattress can take anywhere from 2 to 72 hours depending on the materials and size. Fortunately, you don’t necessarily have to wait for it to finish decompressing to sleep on it. Once it is at a size where you’d feel comfortable using it, go ahead, it will continue to expand until it reaches its full size. Firmness: While there are exceptions, most mattresses that can be decompressed are made from firm memory foam. It is very important for you to consider how firm you want your mattress to be. There are a few that run closer to the plush side, but if you like super plush, a memory foam bed might not be the best option. It’s important to also consider wear on these mattresses. All mattresses need to be worn in a bit at the beginning, and what may seem too firm at first might become the best mattress you’ve ever had. Many people recommend wearing socks and walking or dancing on the bed for a few minutes to help break it in even! If that doesn’t work, another excellent option is using a soft mattress pad. 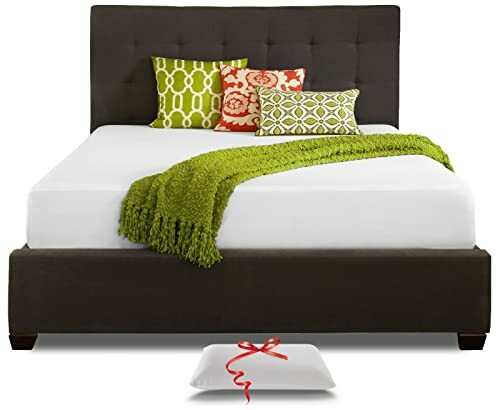 Certifications: Memory foam is a synthetic material, and if you are going to be sleeping on it every night you want to make sure that you are sleeping on something that is safe for your health. Check for certifications before choosing a mattress, if there isn’t a certification you might want to consider a different mattress. Allergens: Our mattresses have a tendency to absorb allergens, bacteria form dust-mites. These can be unhealthy for you and your sleep, and can even contribute to sleep apnea. Most quality mattress pads are hypoallergenic, so if the mattress you choose doesn’t have anti-allergen properties you should cover it with a pad. Guarantees and Warranties: Warranties are essential for protecting against manufacturing flaws. Sometimes a mattress ends up being a dud, not decompressing fully or having tears in the material. A warranty will protect you from a flaw that could ruin your sleep. Guarantees are also important. When buying a mattress in a box you haven’t necessarily had an opportunity to test the mattress. A guarantee will protect you from buyer’s regret, and allow you to return the mattress if it just isn’t your cup of tea. Be careful, though, once a bed has been decompressed you can’t get it back in the box and that might make returns difficult! Mattress shopping has never been easier or cheaper thanks to mattresses coming in boxes right to your door, but that doesn’t mean that it is a simple choice. Make sure you’ve done your research before you hit that buy button, or you might yourself with regret and a sore back. Remember, always check for guarantees, and don’t discount mattress toppers and pads as a valid way to soften an otherwise quality mattress.